Melbourne is frequently referred to a thanks to the city hosting a variety of internationally acclaimed sporting events throughout the year, including the Melbourne Cup, the Australian Open Tennis and the Australian Grand Prix at Albert Parks the sports capital of Australia. With a range of local, national and international sporting events calling Melbourne home, it’s safe to say that Melbournians love their sport and are proud of their diverse city. With so much sporting rivalry, people from Melbourne tend to be competitive when it comes to sporting events, and it’s no different on the paintball field. 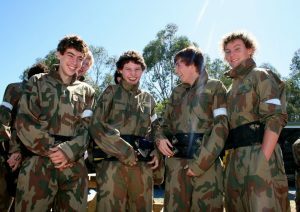 Paintball in Melbourne is extremely popular. Every week adults (paintball has a minimum age of 18 in Victoria) are taking to the paintball field and are using their skill, strategy and determination to overpower the enemy and bring victory to their team. For the ultimate paintball adventure we recommend you play at Delta Force Paintball in Dingley. They offer the complete paintball experience with impressive safety equipment and incredible game scenarios. For a fast-paced adrenalin-fuelled action-packed sport that everyone will enjoy, look no further than a day out at Delta Force in Melbourne. 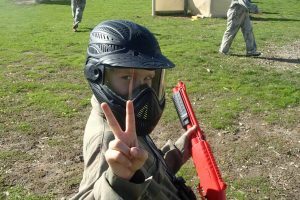 Dingley Paintball is only 30 minutes from the CBD and offers the very best in paintball entertainment. They have movie-set game zones including a giant stone pyramid, and state-of-the-art equipment that will make your full day of paintball action safer and more comfortable. Dingley boasts exciting game scenarios never before seen on Australian soil. Paintballers have raved about playing in movie-set scenarios including the Wild West town, the Gold Mine, Checkpoint Charlie and many more. All players will be equipped with full head protection goggles, a full-length body suit, body armour to protect the upper torso and an ammunition pack. All of this, in addition to their world-class facilities, will ensure that you have the very best Melbourne paintball experience possible. Dingley Paintball has received a 5 star rating from the AUPBA and they are continuing to improve paintballing standards not only in Melbourne, but also throughout Australia.